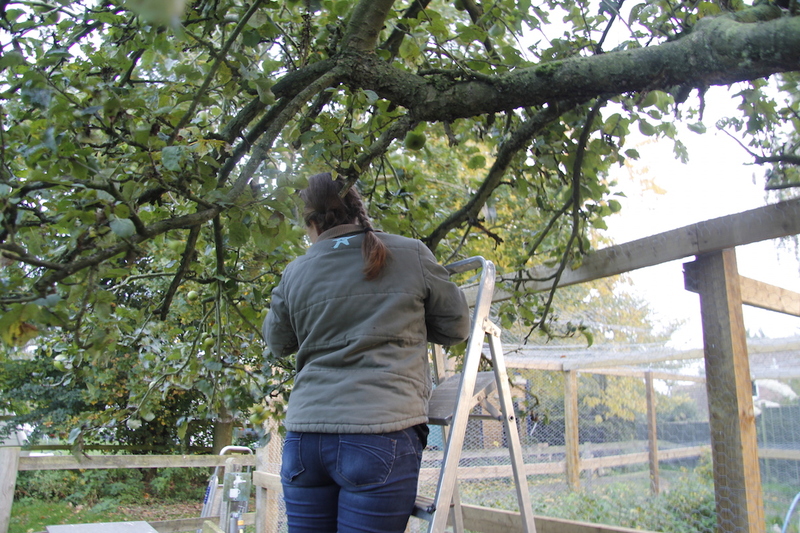 Although we picked most of our apples a month or so ago there were still quite a few up in the tree in especially tricky places. 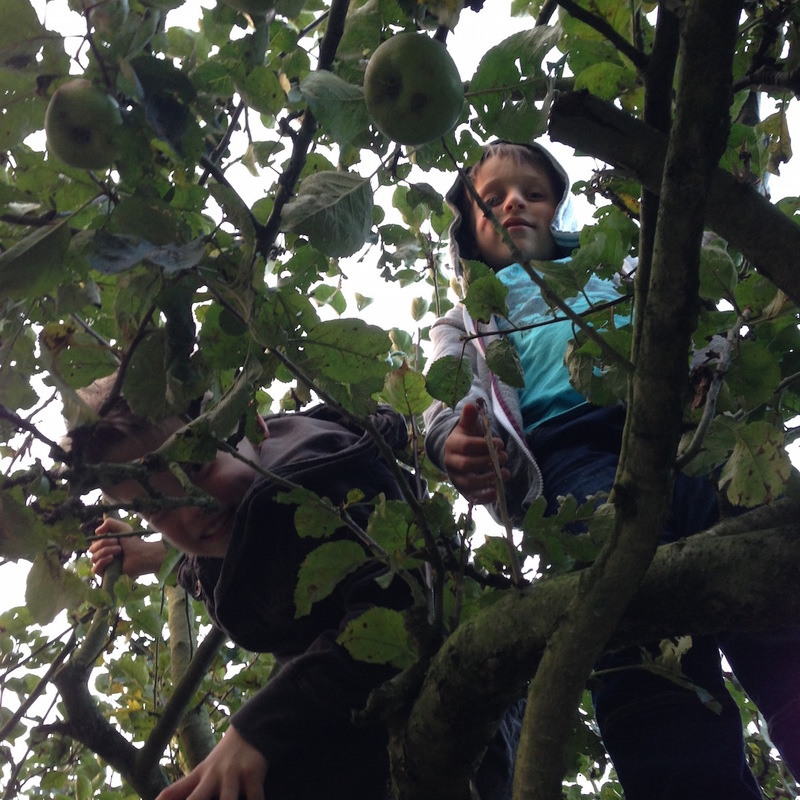 Luckily I had a team of expert apple pickers to help me collect them. 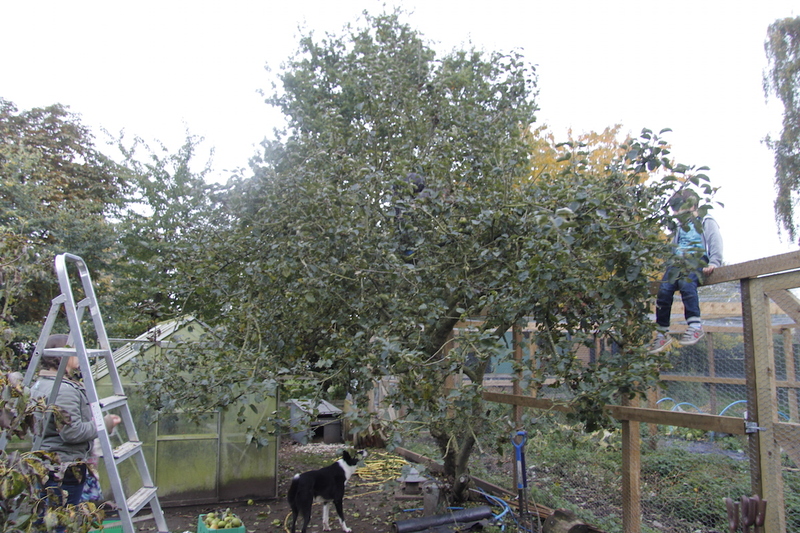 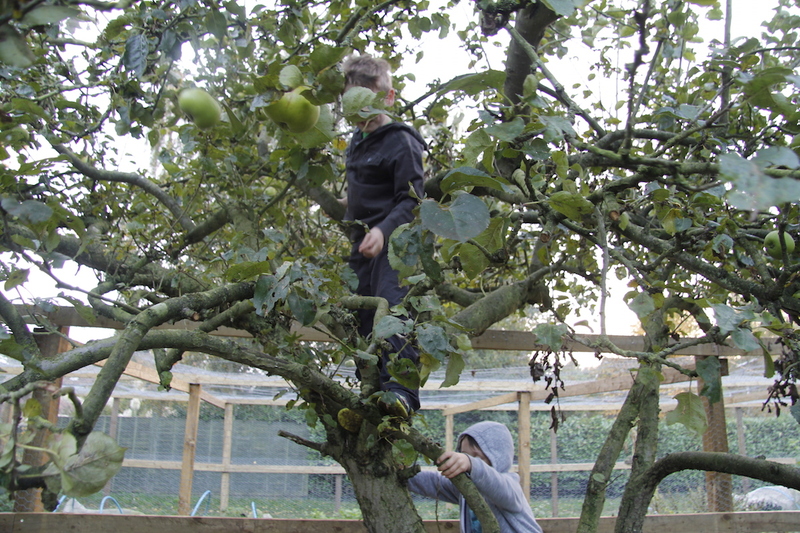 Sam and Alex clambered up the tree and with at times heart-stopping dexterity managed to get the apples from even the furthest-most reaches of the tree, perching precariously on the flimsiest of branches. 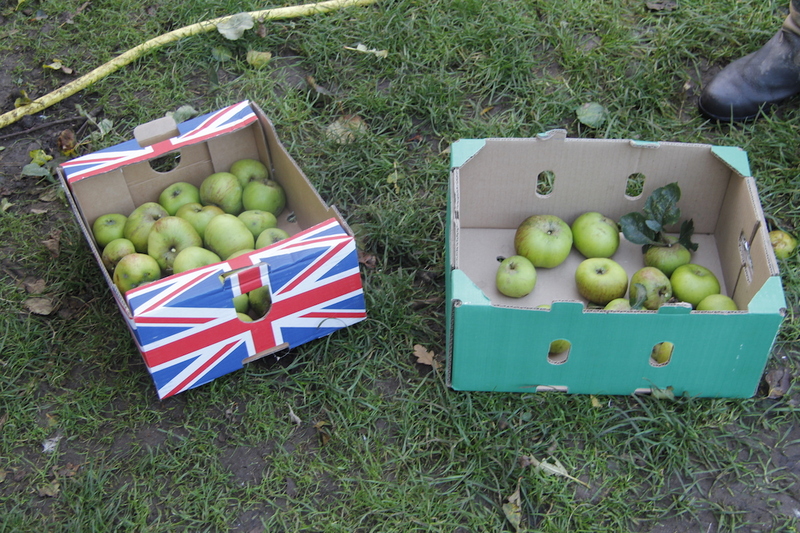 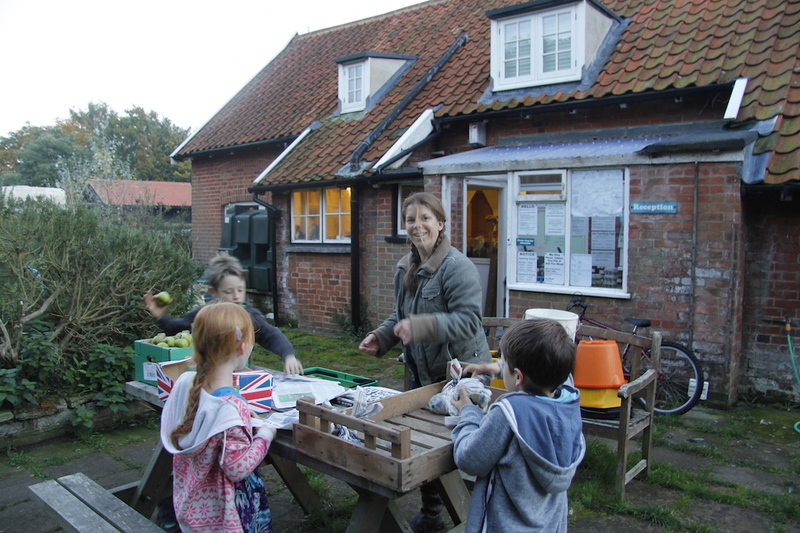 They threw the apples down to me, I passed them to Holly and Holly put them in the boxes – team work. 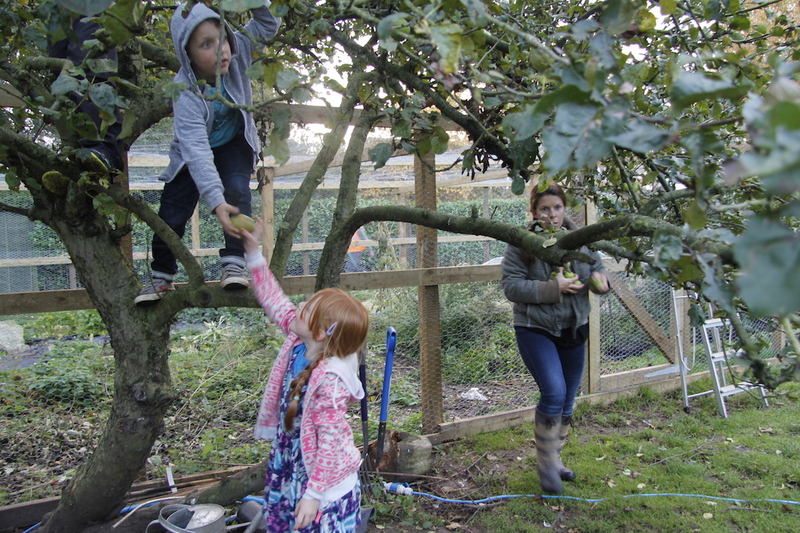 Thank you Kerry, Holly, Sam and Alex – best apple picking team ever. 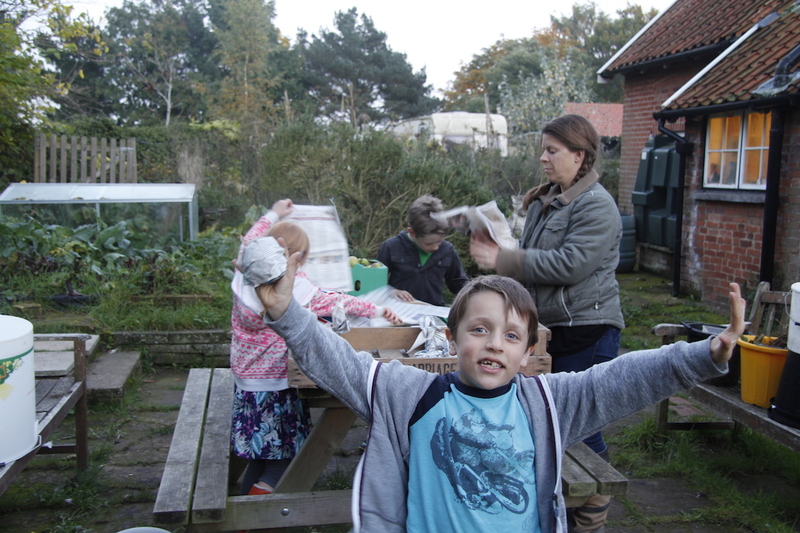 Same time, same place next year?